Congratulations on your new bundle of joy! Choosing what kind of nursery you want to put together for your new little one is a fun and exciting part of the preparing for the baby process. When looking for interior painting contractors to paint the nursery in your Avondale or Tolleson home, look no further than ACN Painting. We are here to help thru this most exciting, but sometimes overwhelming process. 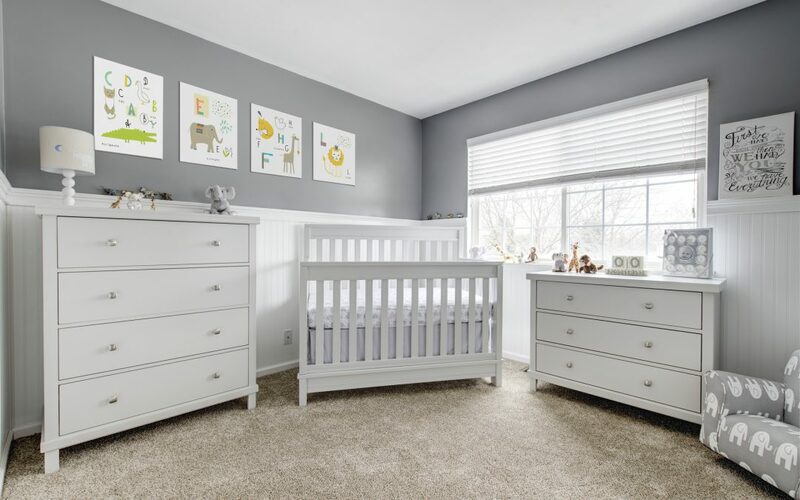 Babies have similar responses to color as adults and older children do, so our interior painting contractors can advise on these when selecting a color for the nursery in your home in Avondale or Tolleson. Babies have so much going on. They are constantly learning and growing, so when choosing a color, it is a good idea to choose something soothing and not too stimulating. Bright colors like reds, yellows and oranges can be used as accents but should be used sparingly as they promote energy. A softer option of these colors is sometimes a good option for an accent wall, but take care not to overdo it. Dark colors can alter the moods of adults and younger children, so we imagine it can do the same for babies. Our interior painting contractors would advise against these colors when painting a nursery. So it’s best to go with softer hues and subtle tones when choosing a color for the nursery in your Avondale or Tolleson home. Baby Girl, Baby Boy, or Neutral Colors? Pink is the most common color for little baby girls and when you choose a soft hue, it can prove to be very calming for your new daughter. This warm color can make her feel cozy and secure, and of course very pretty. If you don’t want to go quite so “girly”, a soft lavender will provide a very peaceful environment. When choosing interior painting contractors for your project in Avondale or Tolleson, our professionals will help you pick the perfect shade for your perfect little girl. Blue is the classic “boy” color. There are so many shades and options, however, and that makes a big difference in how it will affect your baby. Softer hues are best for the walls, and darker heavier tones should be saved for minimal accents. Many people in Avondale and Tolleson are going for more neutral wall colors in the nursery and saving the brighter shades for accents. Green is associated with a positive learning environment, and since babies are always learning, it’s a great choice for your nursery. It can be stimulating, but also calming. Your interior painting contractors at ACN painting will help guide you in the right direction. A soft yellow is a great neutral choice for your walls but anything too bright could aggravate your little one. Shades of brown are also a nice option for your baby’s nursery. Browns are warm and cozy- using rich dark chocolate hues paired with softer neutrals can be really beautiful. Greys are a bit cooler but also an excellent choice with bright accent colors. Last but not least, there’s always white. Pure and simple and perfect for any accent color. ACN painting is the right choice for you. Our experienced professionals can help make this space perfect for your new bundle of joy. Contact our painting services company today!